Wood: Holy Books of Peace? Ally: Holy Books of Peace? 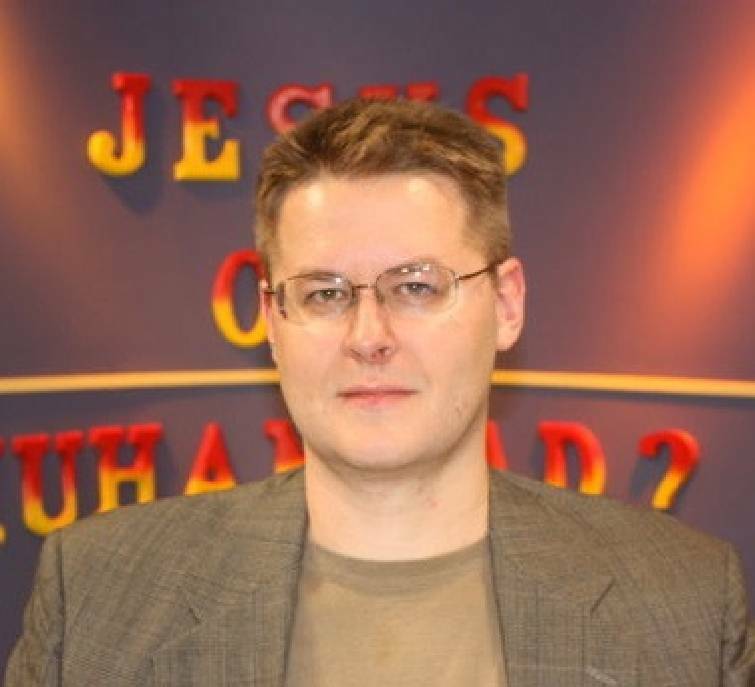 Dr. David Wood is a member of the Society of Christian Philosophers and the Evangelical Philosophical Society. A former atheist, Wood became a Christian after examining the historical evidence for the resurrection of Jesus. He is a contributor to the books “Evidence for God: 50 Arguments for Faith from the Bible, History, Philosophy and Science”; “Defending the Resurrection” and “True Reason: Christian Responses to the Challenge of Atheism.” He has a doctorate in philosophy from Fordham University and has participated in more than 50 moderated public debates with Muslims, atheists and other Christians. He lives in the Bronx with his wife Marie and his four sons. My best friend in college was a Muslim named Nabeel Qureshi. Since we both had thick skin and didn't shy away from difficult topics, we spent four years arguing with one another. We discussed the Bible and the Quran, Jesus and Muhammad, the Trinity and Tawheed (Islam's concept of God). We watched debates, talked to scholars, read books and wrote out our arguments so that other people could examine them. As I was studying philosophy as an undergrad, I focused quite a bit on religious studies, and I studied Islam as part of my coursework. 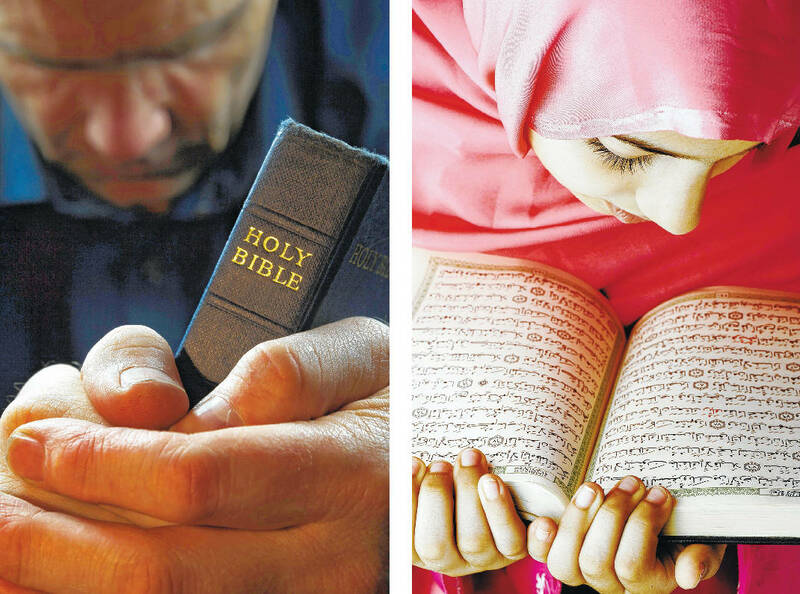 Students were required to read modern works on Islam, from scholars like John Esposito and Karen Armstrong. When I read those modern sources and listened to the lectures of my Muslim professor, Islam seemed like a religion of peace, and Muhammad (Islam's final prophet) seemed like a pious and ethical man. I once wrote a paper on Muhammad's noble attempts to deal peacefully with his enemies, and I even gave a speech on that topic at two different universities. Since Nabeel, in his efforts to lead me to Islam, was quoting early Islamic sources, I eventually decided to purchase and read these sources — Ibn Ishaq's "Life of Muhammad" (our earliest detailed biographical source on Muhammad); "Sahih al-Bukhari" and "Sahih Muslim" (considered by most Muslims to be the two most reliable collections of traditions concerning Muhammad's teachings and example); and the "History of al-Tabari" (Islam's finest early historian). I was shocked at what I found, and the differences between the portrayal of Muhammad in early Islamic sources and his portrayal in 20th century Western revisions couldn't have been more strikin. The Muhammad I read about in Islamic sources was only peaceful when it was convenient for the Muslim community; when he outnumbered his opponents, his approach was entirely different. Muhammad and his followers ultimately became the most powerful force in Arabia. As his community grew, he called for the violent subjugation of non-Muslims. Passages of the Quran revealed during this period emphasize fighting people because of their beliefs, rather than because of any aggression towards Muslims. Allah commands Muslims who rise to power: "Fight those who believe not in Allah nor the Last Day, nor hold that forbidden which hath been forbidden by Allah and His Messenger, nor acknowledge the Religion of Truth, from among the People of the Book [Jews and Christians], until they pay the Jizyah [tribute money given in acknowledgement of one's inferiority] with willing submission, and feel themselves subdued" (9:29). Notice that every criterion for fighting someone in this verse has to do with the person's religious beliefs. Unbelievers are to be subjugated because they are inferior. The Quran calls Muslims "the best of peoples ever raised up for mankind" (3:110). By contrast, those who reject Muhammad are called "the worst of creatures" (98:6). The Quran plainly declares that "Allah does not love the unbelievers" (3:32). There is certainly no concern for equality here. In other Muslim sources, we find Muhammad saying similar things, e.g., "I have been commanded to fight against people till they testify that there is no god but Allah, that Muhammad is the messenger of Allah, and they establish prayer, and pay Zakat" (Sahih Muslim 33). Here again, the basis for fighting people is their religious beliefs. A common objection here is that the Bible also contains violent passages. Aren't Christians being hypocritical when we complain about violence in the Quran? If our objection were simply that the Quran contains violent passages, the objection would indeed come back to haunt us. After all, the conquest of Canaan in the Old Testament was hardly peaceful. However, my unease about the Quran isn't simply that it describes violence in the past, but that its final commands call for ongoing violence. Whatever we think of Joshua's invasion of Canaan, the Bible clearly doesn't advocate continuing violence. Jesus commands his followers to "Love your enemies and pray for those who persecute you, so that you may be sons of your Father who is in heaven" (Matthew 5:44-45). The difficulty in discussing such matters, of course, is that many of us have Muslim friends who obviously aren't trying to kill or subjugate anyone. So when we address what the Quran and Muhammad say about unbelievers, we need to be careful not to give the impression that all Muslims interpret these passages in the same way. Nevertheless, given the impact of Muhammad's teachings on groups like ISIS, al-Qaeda, Boko Haram, al-Shabaab, the Taliban and others, the world can no longer afford to avoid an open, honest discussion of these teachings. The conversation must move forward. But to avoid one-sided caricatures of Islam, there's no better approach than a public debate with a respected Islamic scholar. If anyone can explain how violent Quran passages calling for jihad should be interpreted in a modern context, it's my debate opponent, Shabir Ally.